I received this urgent e-mail this week. I'm going to a New Years Eve party this year and I want to look great. Can you give me an idea of how to wear my hair? I have shoulder length, straight hair cut in a few layers and thin bangs. When I go to a New Years Eve party, I like to wear high heels, sparkly make-up and great hair. I like to be glamorous! That means changing from the ordinary and taking a chance at wearing something other than the same old hair style. New Years Eve is the best time for a new glamorous look. Your hair length is perfect for one of my favorite styles for this season. First, no more thin, fringy bangs. Bring down more hair and cut thicker bangs. Make sure they are long. They should be thick and long, sweeping to about mid eye from a low side part. Build body (as seen below) and use a large curling iron to fluff them. Build body After shampooing your hair, apply a firm hold mousse and blow dry, putting in as much fullness as possible. 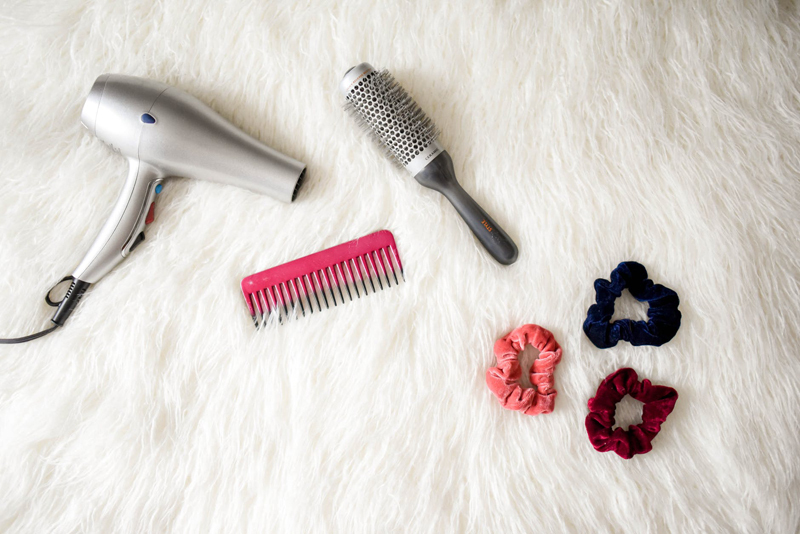 Set your hair on bendable hot curlers or swizzlers. Use a spiral wrap. For lots of curls, use small sections and lots of curlers. For softer wave, use larger sections and fewer curlers. Comb-out When the curlers are cool, remove them carefully. Run your fingers through your hair to loosen the curls. For an all-out wild and sassy look, tip your head upside down and run your fingers through it and then spray it lightly with a flexible hold hair spray. Finish Scrunch some more mousse into the ends to help seperate the curls. As a final touch use spray shine to make your hair glisten and take away any frizziness. Wear this to that New Years Eve party you will look and feel Glamorous Judy!.